Pace Prana in Anna Nagar West, Chennai North by Pace Builders is a residential project. 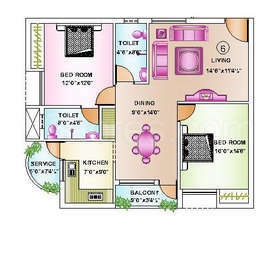 The size of the Apartment ranges in between 593.0 sq.ft.  and 2522.0 sq.ft. Pace Prana price ranges from 82.48 Lacs to 1.20 Cr. Pace Prana offers facilities such as Gymnasium and Lift. It also has amenities like Badminton court and Lawn tennis court. Bank loan approved from HDFC home loans and State Bank of India. It is a ready to move project with possession offered in Jul, 2016. The project is spread over a total area of 3 acres of land. It has 35% of open space. Pace Prana has a total of 6 towers. The construction is of 8 floors. An accommodation of 315 units has been provided. What is the location of Pace Prana?The location of the project is Anna Nagar West, Chennai North. What is available flat size in Pace Prana? Flat sizes in the project range from 593.0 sqft to 2522.0 sqft. How much is area of 1bhk in Pace Prana? 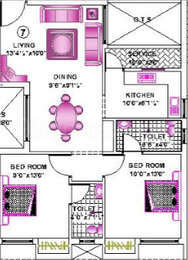 The area of 1BHK units in the project is 593.0 sqft. What is size of 2 bhk in Pace Prana? The area of 2 BHK apartments ranges from 672.0 sqft to 1100.0 sqft. What is the 3 bedroom size in Pace Prana? The area of 3BHK units in the project varies from 1218.0 sqft to 2522.0 sqft. What is the area of Pace Prana?The total area that the project occupies is 3.0 Acres. We would like to introduce ourselves as a reputed Builder in Chennai, India. Incorporated in the year 1995, M/s. Pace Builders Madras Private Limited, is a Chennai based property developer promoted by experienced Engineers and equipped with the required manpower and sophisticated equipment to construct state of the art modern structures. The company has expertise in building Residential Apartments, Commercial Complex, Farm Houses and Resorts in most economic manner and also maintains superior quality.